Wondering if you can qualify for bankruptcy protection and relief in Washington State? We can help you determine if you qualify. Experienced and affordable bankruptcy attorneys serving Lynnwood, Washington. Our Washington State bankruptcy attorneys serve clients throughout Lynnwood and Snohomish County. We handle all Lynnwood Chapter 7 and Chapter 13 bankruptcy cases. (855) 923-3283. Call now for a free consultation. Ultimately, the decision whether or not to file for bankruptcy is a personal one. We can only advise you with regards to whether or not you can qualify, as well as discuss what other non-bankruptcy options are available to you. Our primary goal is to help you understand your legal rights. If your finances show that you can qualify, it is often your best option. If you are financially struggling, you are probably having trouble just meeting your basic housing and other necessity expenses. 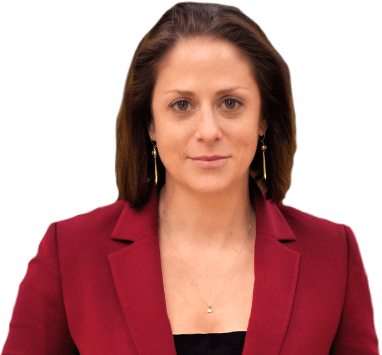 Part of our analysis involves examining exactly how much you are paying each month towards unsecured debts that will most likely be fully wiped out or "discharged" in your bankruptcy. We use this information also help us analyze your monthly cash flow and monthly expenses. Our job is to help you understand your options. And again, the ultimate decision about whether to file is yours. For many of our clients, bankruptcy frees up needed cash flow every month. This is typically because you are no longer paying on the unsecured debts that will be discharged in your bankruptcy. 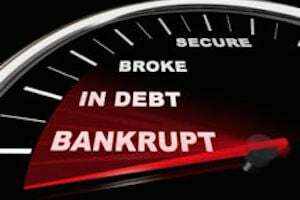 If you qualify for a Chapter 7 bankruptcy, these debts will almost always be wiped out entirely. If you need to pursue a Chapter 13 bankruptcy, you may be required to pay back a certain portion of these unsecured debts. How much you pay back often requires a comprehensive financial analysis. This can be complicated. We will help you determine whether or not you are eligible for bankruptcy protection. Also, if you are currently or believe that you might be subject to a wage garnishment action, we can stop it if you qualify to file. If you believe that a wage garnishment is imminent, it's important to try and contact our offices before it takes effect. Our Lynnwood bankruptcy attorneys handle all Chapter 7 and Chapter 13 cases. We provide clients with a free case evaluation to help them determine whether or not their finances enable them to qualify. If you have questions about your own qualification, we encourage you to call us for a free consult. At a minimum you will understand how the bankruptcy laws would apply to your particular situation and unique set of circumstances. Many people are confused about whether or not they can qualify. We will enable you to make an informed decision about your debt relief options. Toll Free Statewide: (855) 923-3283. Your Retirement and Pension Plan. The issue of retirement can be complicated when it comes to bankruptcy. In many situations we are able to protect retirement accounts. But, it's simply impossible to undertake this analysis by providing instruction and information on a website. One critical factor is the type of retirement account in which your funds are held. One of the most questions is whether or not your pension or retirement plan are ERISA qualified. The good news is that most plans are ERISA qualified plans. This government site provides some useful information about Pension Plans and ERISA. Can I qualify for bankruptcy in Lynnwood, WA? Times have been difficult for a number of years now. And, we know that many of our friends and neighbors in both the City of Lynnwood and throughout Snohomish County are hurting financially. Many hard working people have lost their jobs and experienced severe economic hardship that has caused them to struggle and fall behind on making payments to their creditors. Thank you for visiting our debt relief website. We are Washington State bankruptcy attorneys. We serve clients throughout the greater Puget Sound Region. Our Snohomish County offices are located in downtown Everett. We are located approximately two blocks from the Snohomish County Courthouse. If you need to contact this court, this link will assist you. Your bankruptcy case, however, will not be heard at this location. Many clients ask where their 341 bankruptcy hearing will be held. This link takes you to the a site that breaks down the local address of the 341Hearing by county. This site provides information for the United States Western District of Washington Bankruptcy Court. Where is the Section 341 meeting of creditors held? If you are able to qualify financially, a Chapter 7 bankruptcy is usually your best option. It's relatively quick. Once we receive all of the information and documents from you, it usually takes less than four months. The other benefit of a Chapter 7 bankruptcy is that in enables you to discharge 100% of your qualifying unsecured debt. In many cases you also retain all of your property, which is "exempted" and passes through the bankruptcy. Again, some examples of these kinds of unsecured debt are credit cards, medical bills, payday loans, car repossession deficiencies, lawsuits where the underlying debts are unsecured debts such as breach of contracts, stops garnishments, and old landlord debts for unpaid rent. Filing for Chapter 7 bankruptcy should lawfully discharge all of this debt and give you a fresh financial start. 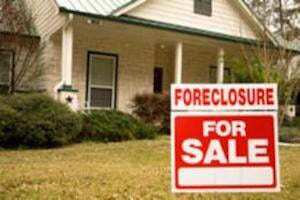 Need to stop a home foreclosure sale or auction? Chapter 13 bankruptcy. There are many reasons for a person to need to file a Chapter 13 plan instead pursuing a Chapter 7 discharge. There are far too many reasons to try and fully detail here. But, here are a few. 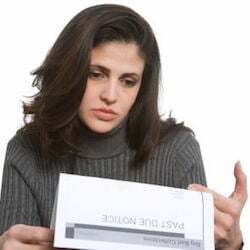 If your income is too high to qualify for Chapter 7 bankruptcy you may simply be required to file a Chapter 13 Plan to pay a portion of their debts back under a payment schedule they can afford. Chapter 13 Bankruptcy can also stop foreclosure sales, repay your mortgage, stop car repossessions and restructure your car loan. In certain cases, we might also be able to strip your second mortgage. But, this requires a complicated analysis, including determining what your house in honestly worth. We will review your entire financial situation and help determine if filing for Chapter 13 bankruptcy is your best financial option. Call now for a free legal consultation.